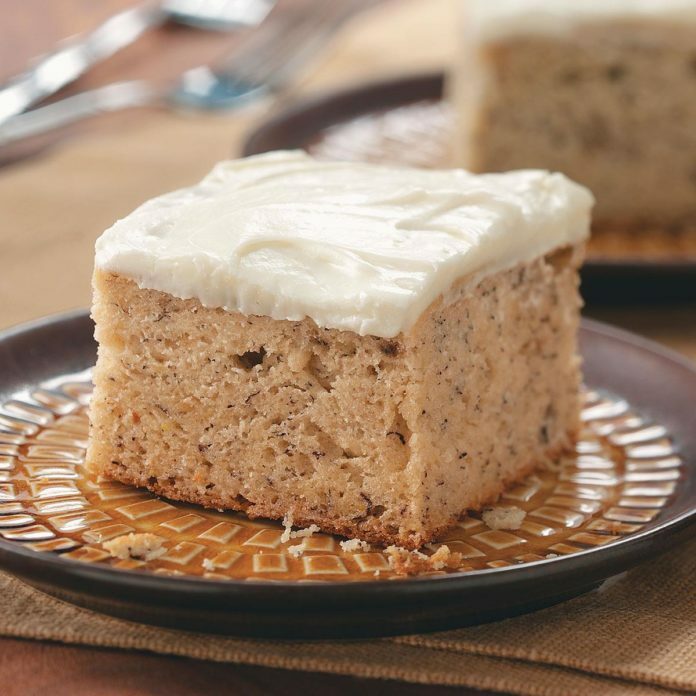 As a mother of three sons, I know that sweets are a staple in my kitchen! 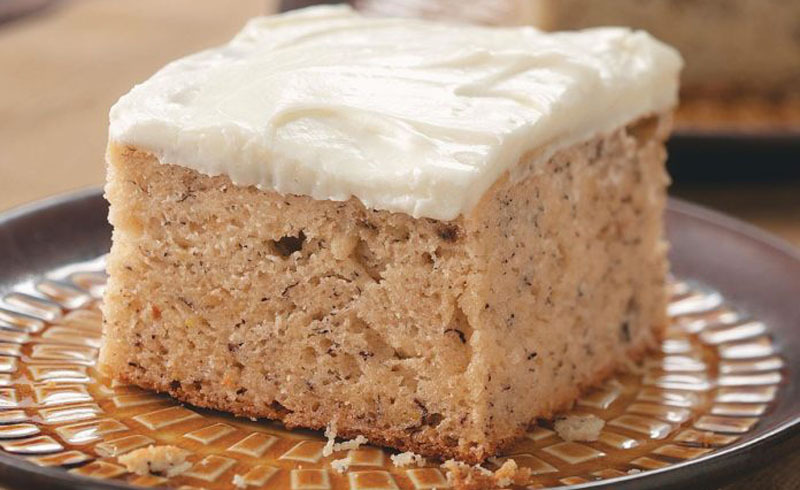 I buy lots of ripe fruit on sale and freeze it with this banana cake with cream cheese frosting recipe in mind. I’m often asked to bring it to family picnics and dinners. In a large bowl, cream shortening and sugar until light and fluffy. Add egg yolks, one at a time, beating well after each addition. Add bananas and milk; mix just until combined. Combine the flour, baking powder, baking soda and salt. Add to the creamed mixture; beat for 2 minutes. In another bowl, beat egg whites until soft peaks form. Fold into batter. Pour into a greased 13x9-in. baking pan. Bake at 350° for 30-35 minutes or until a toothpick inserted in the center comes out clean. Cool on a wire rack. In a large bowl, beat cream cheese and butter until fluffy. Add the confectioners’ sugar, vanilla and salt; beat until smooth. Spread over cake. Store in the refrigerator. 1 piece: 497 calories, 18g fat (8g saturated fat), 54mg cholesterol, 310mg sodium, 79g carbohydrate (55g sugars, 1g fiber), 5g protein.